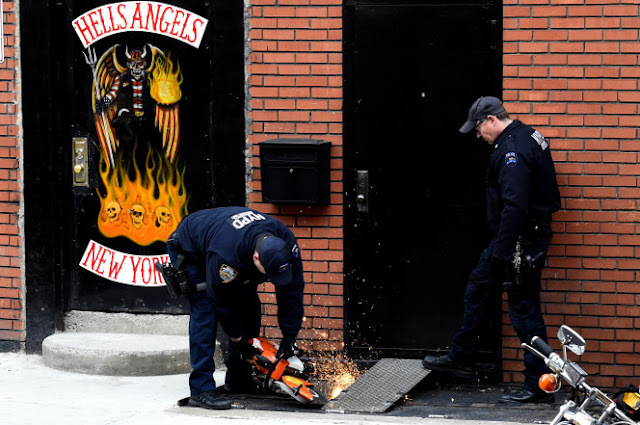 NEW YORK, NY (December 12, 2016) — There’s an all-out war brewing between the Hells Angels and city cops — who swarmed the bikers’ clubhouse Tuesday as payback for refusing to help solve a shooting, police and witnesses said. More than 30 cops stormed the East Village headquarters and slapped bikers with summonses for any minor infractions they could find, according to police. 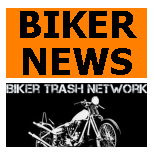 The bikers — who have refused to answer cops’ questions about a shooting over a parking space in front of the clubhouse early Sunday — were slapped with at least three summonses, cops said. They were ticketed for blocking the sidewalk with planters and failing to display license plates on motorcycles, which were covered with a protective sheet. Cops also used a saw to cut away a metal ramp in front of the clubhouse and ripped out an outdoor bench. 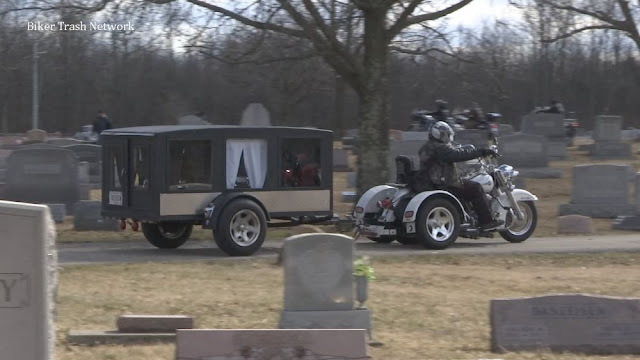 Police said they hassled the bikers to send them a message. Meanwhile, the man shot in the gut, allegedly by one of the bikers, is terrified to work with police — possibly for fear of retribution from the motorcycle club, police said. “All witnesses are afraid,” one police source said, adding they would likely still testify. The victim, David Martinez, 25, was recovering from surgery Tuesday after a biker shot him for moving a parking cone — used to save a parking space outside the clubhouse — on East Third Street near First ­Avenue.